A way I'd like to repay my European readers is to make notion of some of my favorite locales in Europe. Europe is an important market for me as a blogger and as a YouTube channel. So many people from Europe view my content in addition to my fellow American readers. This is a chance for me to share some of my favorite European locations. Not necessarily cities, but various places including entire countries. This is kind of my chance to shout out to certain locations. This time, I won't try to rely on pictures to prove points. Not having a lot of pictures will make this blog post flat, but it's less work for me to share main points. I'll be doing this a bit differently. I'll mostly share the location and why I love it without really needing to post a picture (though pictures help). Please note that this is not necessarily about cities. It can be about certain locations, certain parts of Europe, certain countries in general, and more. NOTE: Click on the headings of any of the featured locations to visit either their official website or some travel site linking you to these locations. Be warned that not all sites are available in English. WHY: Do I NEED a reason? Just look at the lovely surroundings and structures of London. It is one of my favorite cities in Europe. You have many reasons to fall in love with London- Big Ben, Westminster Abbey, Buckingham Palace, and stuff like that. WHY: The only thing I know about Cardiff is that it the birthplace of Charlotte Church. It is easily my favorite city in Wales. I do wish I knew more about Cardiff. It's the only other Welsh city I know of besides Swansea. WHY: The lovely waterways and lovely buildings of Dublin make it a beautiful place to visit. WHY: It's hard to ignore or downplay the beauty of a city like Paris. It's been one of my favorite places in the world for the longest, and it is also a place I'd love to visit if I were actually travelling. Paris just exudes so much charm and character to be ignored. I sometimes imagine what it would be like to be on the top floor of the Eiffel Tower. I'd feel like I was atop the world. WHY: Other than the F1 Grand Prix of Monaco, Monte Carlo is a place you just instantly fall in love with. The only other thing I know about Monaco (besides Monte Carlo) is that there is a beautiful football (as in what us Americans call soccer) stadium called Stade Louis II. WHY: ¡Viva España!. There are many places in Spain that I love. You can read about all of them in my blog entry: What I Love About Spain. There's just so much to love about Spain- Barcelona, Madrid, Seville, Salamanca, Toledo, Ibiza... you go from there. I tend to love Spanish architecture the most. WHY: Besides Berlin, Cologne is my favorite city in Germany. A lot of the various structures and city locales in Germany are simply stunning. Almost as beautiful as Paris. WHY: While I don't know as much as I would like to about Amsterdam, this city is certainly beautiful. It is undeniably a great looking city. It's also infamously known for its Red Light District. WHY: Switzerland is nothing short of beautiful. Some of my favorite locations in Switzerland include Geneva, Lucerne, Zurich, Bern, and Grindelwald. Switzerland is just nothing short of breathtaking. WHY: The cosmopolitan city of Milan is just an amazing place. I know it as a fashion capital as well as not being far from the lovely Autodromo Nazionale Monza. The Piazza del Duomo is spectacular. WHY: Florence is absolutely charming. All the red roof buildings and Old World architecture is nothing short of amazing. It is a truly beautiful place. The Florence Cathedral stands out most to me as far as structures in Florence are concerned. WHY: Do as the Romans do. This is a place that has a little of everything. You can immerse yourself in the ancient history of Rome. You can probably envision what the first battles were like at the Colosseum. You can toss a few coins into the Trevi Fountain. According to legend, if you toss two coins into the Trevi Fountain, you will one day return to Rome. Or, you can check out some of the more modern stuff in Rome. Either way, it's a spectacular place. WHY: Malta is a place I've slowly and steadily wanted to learn more about. As my blog kept getting blog hits from Malta, I got to learn about some of the different cities of Malta. The Old World charm of Malta makes it a beautiful location. Just about every picture I see of Malta is simply sensational. Totally breathtaking and captivating Malta is. I am still wanting to learn more about Malta. But for what I do know, it is a spectacular island nation. WHY: Croatia is a beautiful country, and its beautiful capital is Zagreb. From a number of angles, Zagreb is just a beautiful city. I even have a few friends online from Zagreb. It's a lovely place. WHY: Besides Rome, Athens is another classic locale full of history. You can't fault the history and the charm of a place like Athens. In fact, playing "The Battle of Olympus" back on the NES exposed me to Greek Mythology and all of Greece. It was a great game. As for Athens itself, you have the same sense of immersion here as you do with Rome. WHY: Blue waters, lovely buildings, and an amazing setting all make Mykonos a truly beautiful place. It's my favorite location in Greece besides Athens. WHY: As I started following my international blog viewers, I got to learn more about Slovakia. Growing up, I've always remembered Czechoslovakia. I still have a lot more to learn more about Slovakia, but if there's one thing I know about Slovakia, it's that Bratislava is a lovely city (and it's also the capital of Slovakia). WHY: Vienna is well known for music. No song more beautiful could ever be composed than the creation of Vienna. It is a beautiful city with lots of history as well as musical history. Even one Austrian native named Wolfgang Amadeus Mozart (you might have heard of him before) resided in Vienna apart from his Salzburg home. WHY: I was preparing this blog entry and felt ashamed I forgot to mention Budapest. Budapest is one of the loveliest cities in the world, let alone one of Europe's loveliest. WHY: The capital of Lithuania is a beautiful place and the only city I really know of in Lithuania. There are beautiful buildings, both old and modern in this city. It's a fantastic place. WHY: Estonia is one of my most recent fascinating places anywhere in the world. My favorite city in Estonia is Tallinn, the capital. Tallinn is a lovely place from what I've seen in pictures. I even think Estonia has a lovely national anthem from the instrumental hymn I've heard of Estonia. It is a lovely place, as is the rest of Estonia. I don't really know of anyone from Estonia, except for a fashion blog and a race car driver. The only famous Estonian I know of is World Rally Championship racer, Markko Martin. The Estonian fashion blog I follow here on Blogger/Blogspot from an Estonian teenage girl named Tuuli Jürgenson, who is the creator of a blog called Fallie's Scrapbook. She has been featured in publications such as Teen Vogue. You can read more about the Estonian in this Teen Vogue interview. WHY: Helsinki is perhaps the city I immediately think of when it comes to Finland. It is a lovely city. I also kind of know Helsinki for Helsinki Polytechnic Stadia as part of the Formula SAE competition. Beautiful buildings and majestic waterways make this urban city very lovely. It's certainly a city I'd love to visit if traveling to Sweden. WHY: Iceland's capital is the ONLY city I know in Iceland. In addition, some of the structures there are totally beautiful. The one that stands out to me is the Church of Hallgrimur in Reykjavik. WHY: It's tough not to find something to love about a classic city like Moscow. Basil's Cathedral and The Kremlin are two lovely structures that instantly jump out at me. Moscow is just a beautiful place. Moscow will even play host to a future Formula 1 Grand Prix race. WHY: While I don't know much as much about St. Petersburg, it is a beautiful city from what I've seen in pictures. WHY: The only city in the Democratic Republic of Georgia that I know of is its capital city of Tbilisi. This is a lovely city from what I've seen in pictures as well as in videos. Sameba Cathedral is perhaps my favorite structure in the [Republic of] Georgian capital. The city itself is as modern as almost any other major European city (like London or Paris, for example). WHY: A Sister City of Houston, Baku is really a lovely city. The country of Azerbaijan is considered part of the European continent. It is the southeasternmost country in Europe, and Baku is a beautiful place. Its urban beauty will captivate you about as much as any other major European city. WHY: I'm doing this in honor of some friends on Facebook. Turku is somehow seen in Finland much like Houston here in the United States- underrated. I think Turku is a very nice-looking city from what I've seen. WHY: A friend of mine was born in this city. From what I've seen in pictures, it's a very nice city. WHY: A loyal mate of mine online hails from Northern Sweden, so it's safe to say that while it's cold up there, he's one of the coolest people I've ever come across online. So I'm showing support for Boden and the Boden Municipality here. WHY: Gibraltar is a majestic location. Just the sight of the Rock of Gibraltar is mystifying. Both the territory and the Rock of Gibraltar are outstanding. The reason why I didn't include Istanbul initially was because this was about European cities. Istanbul, though, spans both Europe and Asia. So I pay Honorable Mention here though I love Istanbul. I'm just here to show some love for all of you from Europe! :-) I love all of my readers the world over, but I'm just paying some tribute to my European readers for this blog post. Feel free to post a shout out to me if I mentioned your hometown or country here! Please let me know of any official websites or tourism sites I can use to edit this blog entry in the future to better service my readers. Contact me directly if there are any better sites I can link my readers to in making this blog entry better. 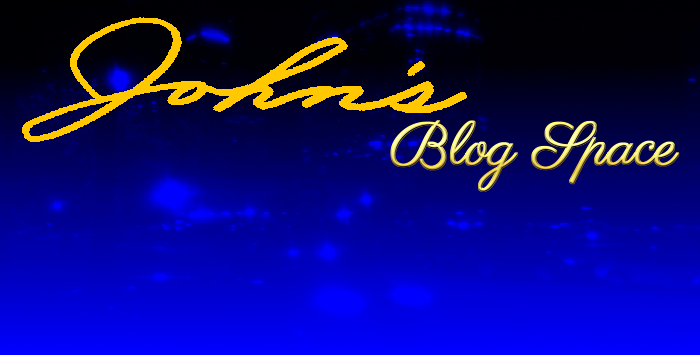 * Subscribe to John's Blog Space!